This week, Famitsu is publishing an interview with some of the developers behind The Legend of Zelda: Breath of the Wild. Director Hidemaro Fujibayashi and series producer Eiji Aonuma spoke about the game in-depth, among others. Ahead of the magazine’s official release tomorrow, some tidbits from the interview have appeared online. First, Famitsu asks about how Nintendo settled on Ganon’s role in the game. Zelda was given a fairly deep portrayal, but Ganon only exists as a calamity. Fujibayashi responded by saying that, role-wise, it was unnecessary for him to be personified. If he talks, then his background would need to be shown and that would only be an obstruction in the game. That’s why Ganon is shaped as it is. Speaking of characters, Famitsu also put out a question as to why Zelda has what is almost an inferiority complex. According to Fujibayashi, it was easier to build the story that way. Also, the staff in charge of the scenario strongly recommended that kind of plot. Of course, her personality is there to be more functional as well. Fujibayashi and Aonuma also took on a question regarding where Breath of the Wild’s story is positioned in the history of Hyrule. Fujibayashi said that he’ll leave it to our imagination. Aonuma explained things a bit more, stating that Hyrule’s history has changed with time, and even now there are some occasions of canon histories becoming slightly changed. Some detailed parts in the history books have been changed as well. What’s being said here is that even history books used in schools have changed, so why not Hyrule? Aonuma also joked about how that’s why this time the situation becomes like finding a new ancient document. 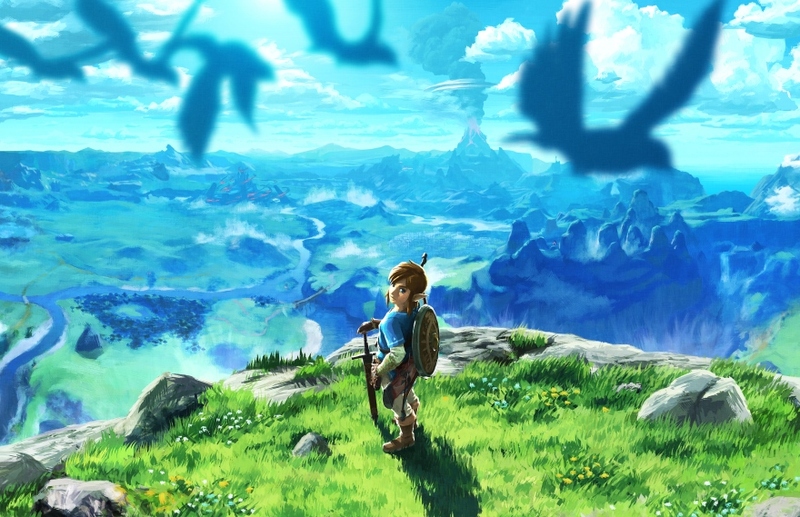 Finally, Aonuma indicated that the open air nature of Zelda: Breath of the Wild may be the standard of Zelda games going forward.